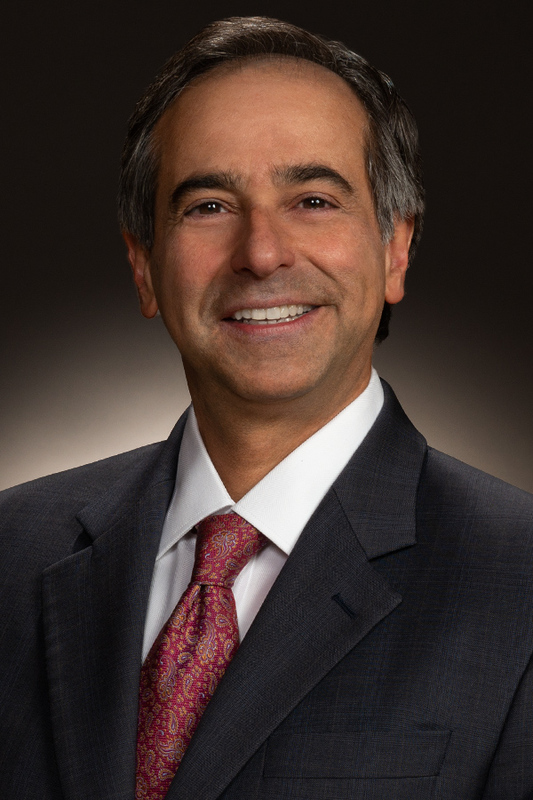 Habib Nasrullah serves as trial and national coordinating counsel on mass tort and complex product liability lawsuits, including multidistrict litigation. He maintains a very active white collar and investigations practice and also represents sophisticated clients in complex commercial litigation. Habib’s clients include Fortune 100 and other leading companies, and he has substantial experience in federal and state courts. Formerly, Habib served as Assistant U.S. Attorney for the District of Colorado. 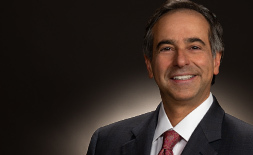 A Fellow of the American College of Trial Lawyers, Habib frequently manages mass tort litigation involving dockets of several thousand cases across multiple jurisdictions. He recently defended a major healthcare industry client against more than 12,000 claims involving its dialysis products. In another matter, Habib is leading the litigation strategy involving more than 3,000 claims against a popular cholesterol drug. Habib also negotiated the dismissal of a food distributor from wide-ranging litigation relating to the deadly 2011 Listeria outbreak linked to Colorado cantaloupes, which sickened hundreds and killed 33 people. In all of his engagements, Habib works with clients and local counsel to conceptualize and implement coherent and effective litigation plans for multidistrict and complex litigation. Clients frequently retain him to try cases involving sophisticated expert and evidentiary issues with potentially high exposure when trial is imminent. Habib's background as a federal prosecutor makes him particularly valuable to clients in criminal cases and civil cases in which there is a parallel criminal investigation. He strives to resolve these matters in the earliest possible stages, sparing clients the potential of facing criminal charges or intense public scrutiny. Habib also conducts internal investigations and counsels individual and corporate clients on a variety of federal and state compliance issues in the healthcare, aviation, and financial institution sectors. Parcel, Mauro, Hultin & Spaanstra, P.C. Habib Nasrullah has particular experience representing pharmaceutical manufacturers and distributors in mass tort, multidistrict litigation. A former Assistant U.S. Attorney, Habib also maintains a very active white collar and investigations practice. Habib is a Fellow of the American College of Trial Lawyers. Serve as trial and national coordinating counsel for the largest pharmaceutical distributor in North America in nationwide litigation involving Zoloft, Lipitor, Effexor, and fen-phen. Represented Continental Airlines and Global Aerospace in matters stemming from a 2008 incident in which a plane skidded off the runway at Denver International Airport due to strong crosswinds. The claims involved over 200 plaintiffs. Serve as trial and national coordinating counsel for a generic drug manufacturer in nationwide litigation involving metoclopramide, alendronate sodium, allopurinol, and finasteride. Serve as trial counsel for a dental clinic involving allegations of overtreatment of pediatric patients. Served as trial counsel for a water softener manufacturer against allegations of bacterial contamination resulting in Crohn's disease. Successfully represented a leading global chemical company in an investigation involving multiple federal agencies and international trade compliance issues. Successfully represented a Chinese national in an investigation involving multiple federal agencies and allegations of arms trading. Represent senior executives in a False Claims Act investigation involving allegations of fraud on defense agencies. Represent a federal contractor in a procurement integrity investigation. Represent a stock transfer agent in securities fraud investigated by the United States. Represent the former CEO of a hospice care organization in a federal False Claims Act investigation and related qui tam litigation. Represent a cloud-based healthcare recordkeeping service in Stored Communications Act and related compliance issues and grand jury proceedings. Represented an originator and servicer of mortgage loans in multiple investigations conducted by the United States into allegations of mortgage and appraisal fraud. Represent a technology company under investigation for alleged conflict of interest charges in a government contract. Represented a senior public official in corruption-related proceedings being investigated by the United States. Represented a Fortune 10 company in an international investigation into the alleged destruction of documents related to ongoing litigation. Represented one of the nation's largest manufacturers of mobile home parts in allegations of corruption and regulatory noncompliance. Represented an airline pilot in an investigation by the United States of crew intoxication. Represented a private school following a sexual assault investigation. Represented a prominent Colorado lawyer in an investigation by the State of Colorado involving allegations of securities fraud. Obtained dismissal with prejudice, without any payment by WTO's client, for an educational content provider facing allegations that it violated the Colorado Consumer Protection Act and put minors at risk. Served as trial counsel in bad faith case involving significant water damage claims at a nursing home facility. Successfully tried a case filed by a sitting county court judge in southern Colorado for alleged violations of the Privacy Act stemming from the conduct of FBI agents. Served as trial counsel for the Denver Mint in a sexual harassment and hostile work environment lawsuit based upon an alleged assault on a female employee by a supervisor. Litigated multiple issues of first impression in the District of Colorado concerning computer forensic evidence under the Adam Walsh Child Safety and Protection Act of 2006. Prosecuted a Mexican national for failure to pay child support resulting in the second-highest award of restitution obtained by the United States Government in a federal child support prosecution. Habib was awarded the Inspector General's Integrity Award by the Office of the Inspector General of the Health and Human Services Department. Co-author "Working with International Suppliers: Sound Contracts Minimize Risk," CNA's Life Science POV (January 2013). "Ethics: Pitfalls in Settlement Negotiations," Litigation Management in a New York Minute - 2017 Edition, presented by The Network of Trial Law Firms, New York, NY (August 4, 2017). "The Art & Science of Jury Selection," presented at the CDLA Trial Academy (April 27, 2017). "Off-Label Marketing and Free Speech in the Post-Caronia and Amarin World," presented at the ABA Life Sciences Seminar (September 21, 2016). "Ethical Issues in Internal Investigations," Litigation Management in a New York Minute - 2015 Edition, presented by The Network of Trial Law Firms, New York, NY (August 7, 2015). "Taking and Defending Depositions," presented for CLE credit to assistant U.S. attorneys and other federal agency counsel at the United States Attorney's Office for the District of Colorado (December 3, 2014). "Settlement, Approval, Ethics, and Beyond," presented at Managing Complex Litigation 2014: Class Actions, Mass Torts & MDL (PLI conference). "Federal Preemption and its Impact on Generic Drug Manufacturers," presented to the ABA Life Sciences Legal Summit (February 27, 2014). "Prospective Changes in Generic Drug Regulation," presented to underwriters from CNA (January 7, 2014). Network of Trial Law Firms, "Ethics: Ethical Issues in Internal Investigations," August 17, 2015. Knowledge@Wharton, "Indian Outsourcing Companies Think Strategy Even as Pressure Mounts," December 16, 2010.